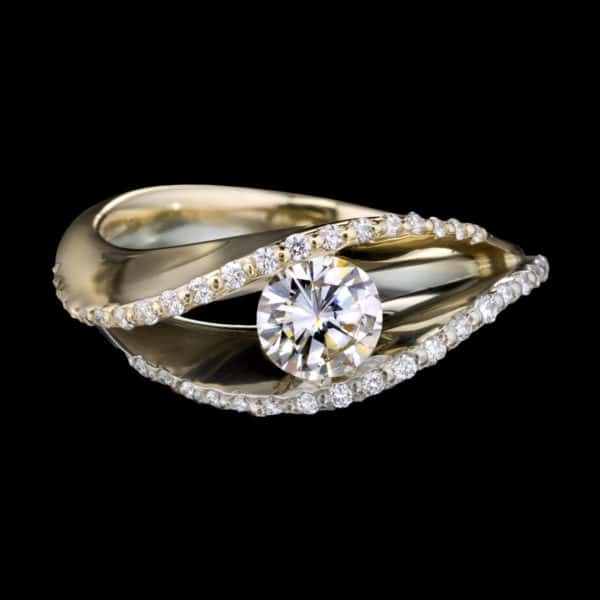 The spiral is one of nature’s perfect forms, evidenced by the balanced beauty of a blooming flower or a nautilus shell. 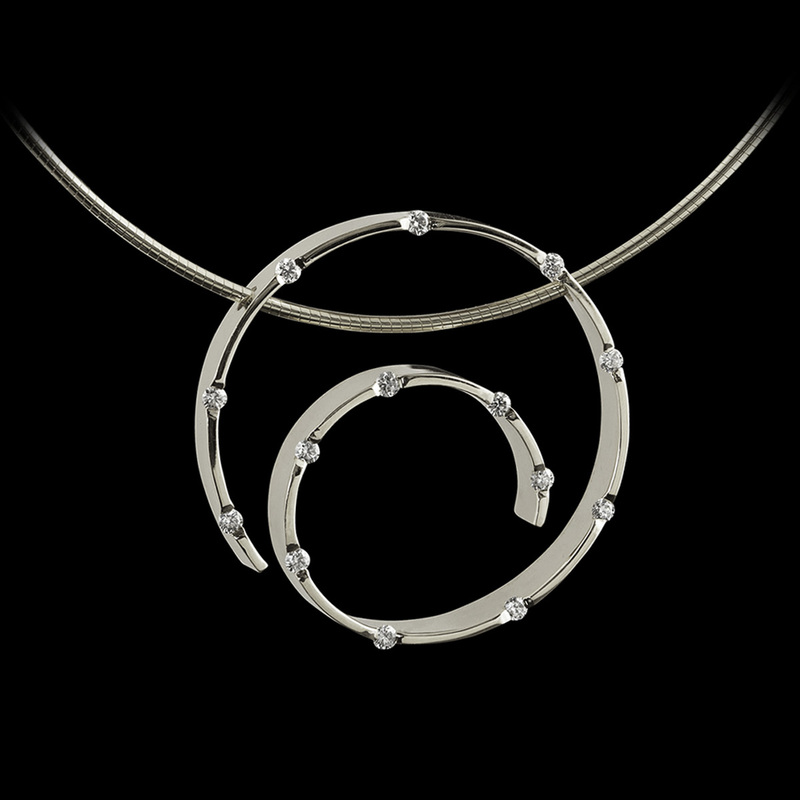 The Spirale Diamond Jewelry Collection uses this inspiration to take a well-known style for a spin. The resulting Designer Jewelry Collection transforms a classic form into a modern motif which begs to be worn. You’ll adore Spirale diamond earrings, diamond pendant, and delicate diamond ring for their versatility and energy. 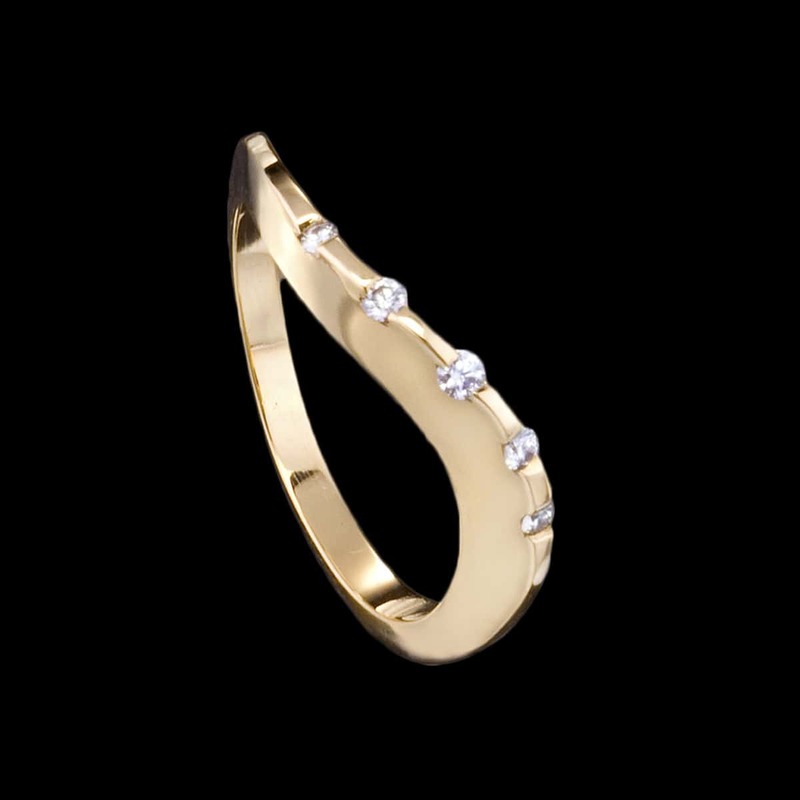 The spiral is one of nature’s perfect forms, evidenced by the balanced beauty of a blooming flower or a nautilus shell. 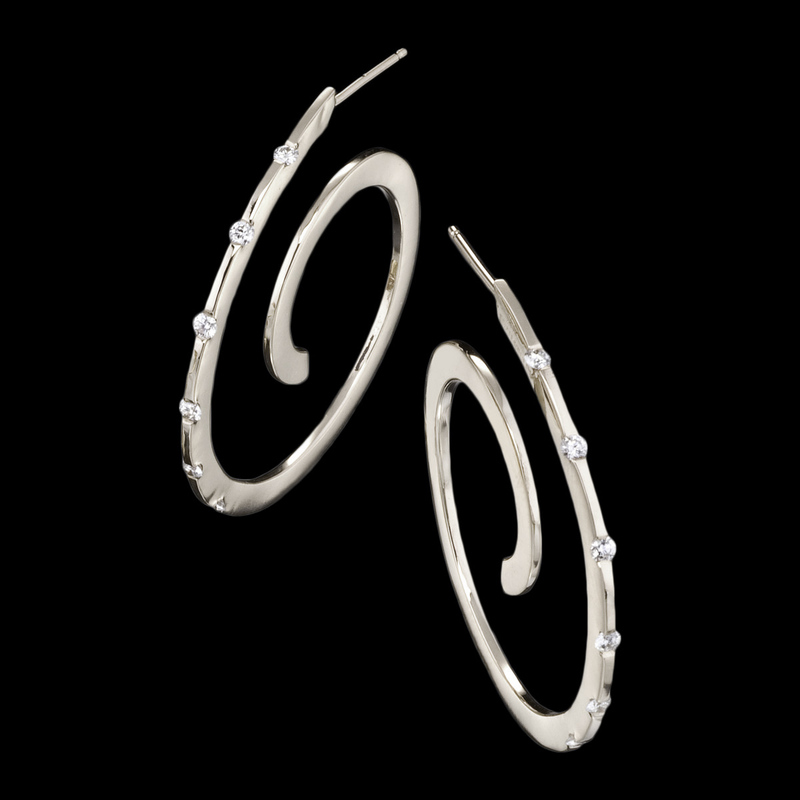 The Spirale Diamond Jewelry Collection transforms a classic form into a modern motif which begs to be worn. For coordinated look with variety, consider wearing Spirale with Adam’s other Designer Jewelry Collections. Pieces from the Spirale Diamond Jewelry Collection pair beautifully with Grace Sapphire Jewelry and Covet Diamond Jewelry. 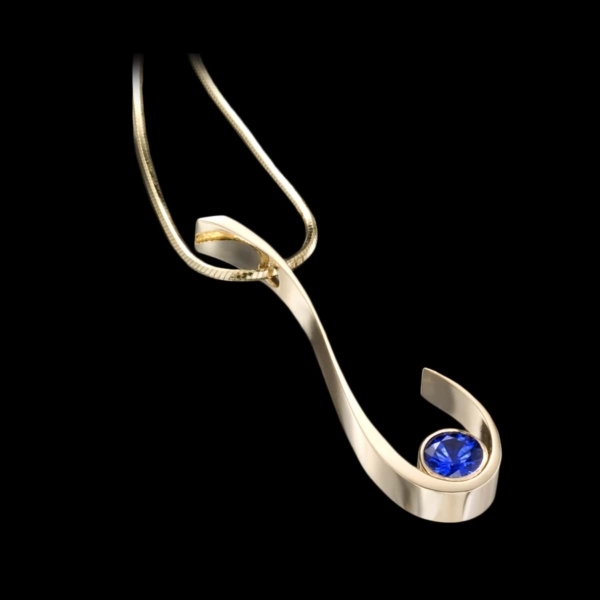 Sapphire jewelry from the Grace Designer Jewelry Collection by Adam Neeley reflects the human form with smooth and elegant design. This sapphire jewelry collection pairs warm yellow gold with vibrant blue sapphires for a stunning, complementary effect. The gentle curves of the human body inspired Adam to create the Covet diamond jewelry collection. At once shapely and sleek, this modern jewelry collection breaks convention to use depth and movement of line in a way that is altogether enchanting.